A Bella Coastal Decor Exclusive - Give your bedroom a dose of beach beauty with the Caicos Bed Set - King. 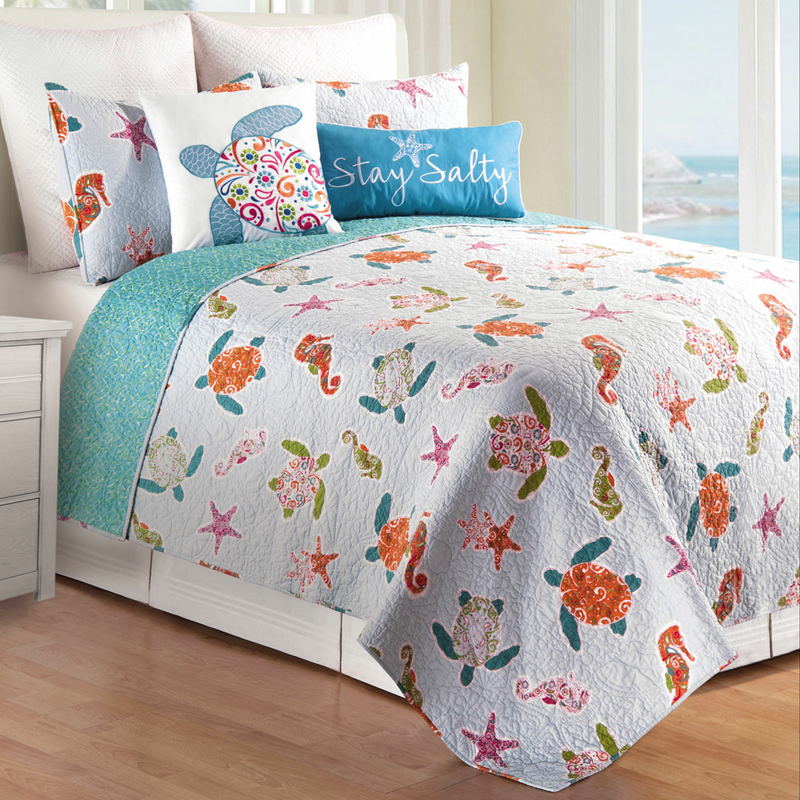 This bed set features bright sea turtles, seahorses, and starfish on pale blue backed by a coordinating aqua fabric. ~Allow 1 to 2 weeks.